The Nebraska Summer Research Program is committed to quality mentoring and research projects. 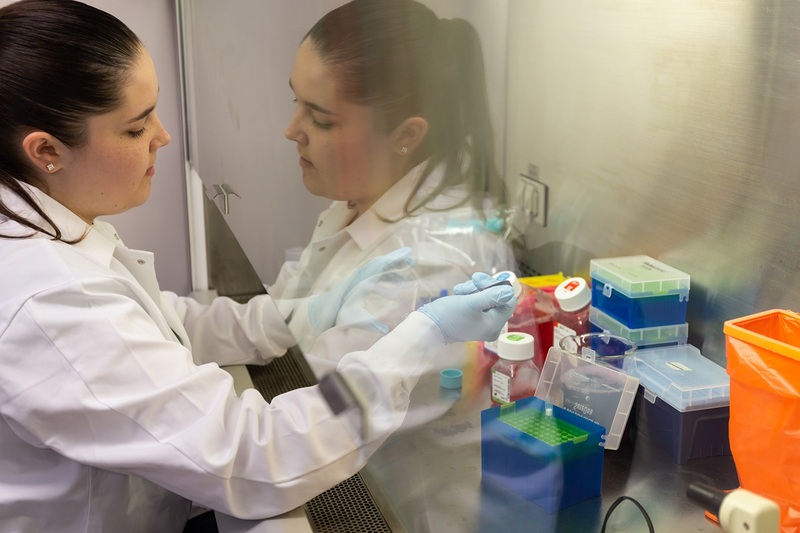 We limit our summer offerings to active research labs and projects led by faculty who have established themselves as excellent undergraduate student mentors. Since each program has several Summer Research Program scholars, you'll have peers and colleagues in which to share your educational experience with. The University of Nebraska Medical Center has research projects ranging from basic molecular biology to the study of human disease in clinical settings. Students in the Summer Undergraduate Fellowship Program at the Eppley Cancer Research Institute though UNMC do hands-on cancer research. Students learn research techniques and concepts and work with professional researchers.